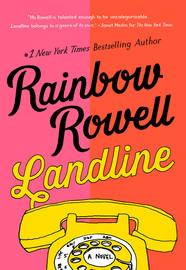 Rainbow Rowell is the author of acclaimed novels such as Fangirl, Eleanor & Park, and Landline. 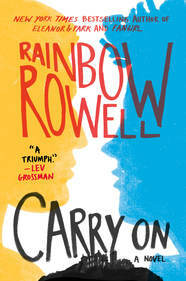 Her most recent novel, Carry On, is a #1 New York Times bestseller and was named “Book of the Year” by TIME Magazine, NPR, Booklist, Barnes & Noble, and more. When she’s not writing, Rainbow Rowell is reading comic books, planning Disney World trips and arguing with people about things that don’t really matter in the big scheme of things. She has two sons, and if God hears her prayers, they will grow up just as nerdy and true-hearted as the protagonists of her books. Rainbow lives in Omaha, Nebraska, with her husband and two sons. You can follow her on Twitter and Facebook. Whether you celebrate Christmas or Hanukkah, Winter Solstice or Kwanzaa, there's something here for everyone. So curl up by the fireplace and get cozy. 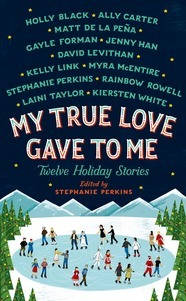 You have twelve reasons this season to stay indoors and fall in love. Cath is a Simon Snow fan. She and her twin sister, Wren, ensconced themselves in the Simon Snow series when they were just kids. Now that they're going to college, Cath's sister has mostly grown away from fandom, but Cath can't let go. She's got a surly roommate with a charming, always-around boyfriend, a fiction-writing professor who thinks fan fiction is the end of the civilized world, a handsome classmate who only wants to talk about words . . . And she can't stop worrying about her dad, who's loving and fragile and has never really been alone. For Cath, the question is: Can she do this? Can she make it without Wren holding her hand? Is she ready to start living her own life? And does she even want to move on if it means leaving Simon Snow behind? Set over the course of one school year in 1986, this is the story of two star-crossed misfits — smart enough to know that first love almost never lasts, but brave and desperate enough to try. 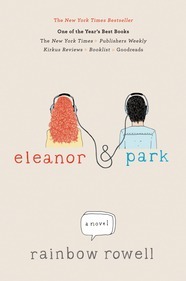 When Eleanor meets Park, you’ll remember your own first love — and just how hard it pulled you under. Rainbow Rowell talks Fifty Shades and Franzen with Time. Rainbow on why she thinks her readers are ready for a gay love story for Vanity Fair. Listen to Rainbow’s Carry On themed playlist. Check out more interviews with Rainbow from Mashable, the Hub, Buzzfeed, Barnes & Noble, Publisher’s Weekly, and NPR. 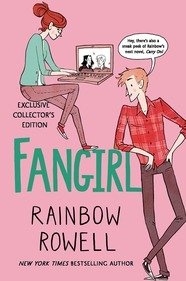 Find out more about Rainbow Rowell and follow her on Twitter, Tumblr, and Facebook. "It was a lovely evening. Rainbow was witty, engaging, intelligent, and charming. Her fans were in heaven!" "We absolutely LOVED [Rainbow]. She was incredibly funny and interesting to hear speak. Our audience was approximately 350 people, and they commented over and over again that her event was their favorite of all we’ve done. We certainly had a number of Rainbow fans on hand, but also many people who hadn’t read her before who are now very big fans."